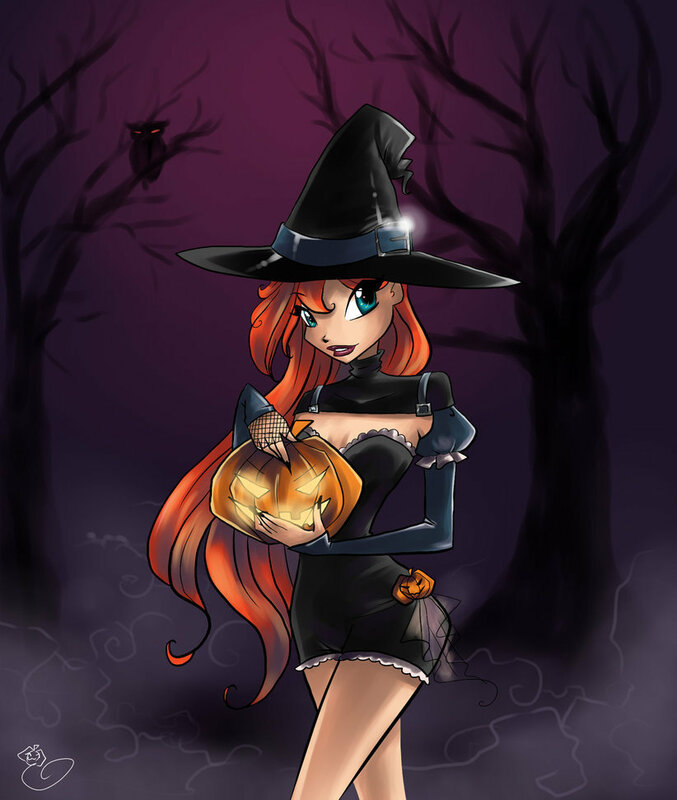 happy halloween bloom. . HD Wallpaper and background images in the The Winx Club club tagged: winx club winx club bloom art. This The Winx Club photo contains fedora, felt hat, homburg, stetson, and trilby. There might also be boater, leghorn, panama, panama hat, sailor, skimmer, straw hat, snap brim hat, and campaign hat. My Top 11 Favorite "Good" Characters.